Adobe Lightroom, Photoshop, or Photoshop Elements – Which One is Right for You? Adobe is known for being the “big dog” when it comes to digital corrections and changes to images. In recent years, Photoshop has even become a verb: for example, “Look at that photo – I bet they ‘Photoshopped’ it.” However, with so many software products out there, it seems to harder and harder to know which Photoshop program will work best for us. Let’s take a step back and weigh the pros and cons of each program so you can decide which will work best for your needs. Photoshop has been around for the longest amount of time, and it is still the go to program for professionals. The latest version is Photoshop CS6, CS standing for Creative Suite and 6 meaning it is the sixth one under this banner. There has been 14 versions released and each one has added new features and tools, along with a steeper learning curve. In the past, when you purchased a new version of Photoshop, the box not only contained the disk of the program but a book referencing the program and tools. This is not the case today, so in effect when you purchase the product you are on your own for trying to figure out just how to use it. That is why we have classes, books and teachers out there to help. 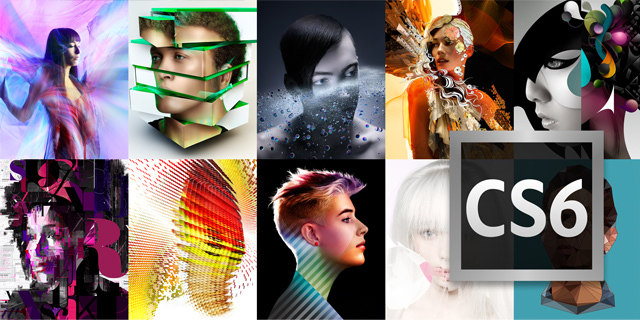 So is Photoshop CS6 only for professionals? Not really: Many talented photographers are using Photoshop every day. This powerful program does have a number of sub-features that work great for professionals when dealing with a large number of files or working on an image in great detail. The most important thing to remember is that if you want to put the time in to learn it, you can use Photoshop© just like the pros. Most photographers will use Photoshop for include color correction and exposure – some images might need some (or a lot) of work to make them suitable to prints or web posting. Other tools in Photoshop are selection tools. These tools make it possible to cut out parts of the image to put in another image. There are also many blending tools that keep the cut-outs from looking like you took a pair of dull scissors to them and that the people or objects were really there. To do this takes many hours of training and practice. Because of the power of most of the tools and features, Photoshop requires a lot of practice. However, for those who truly want the control or a strong artistic or creative soul it really is worth it. There is a cold truth for those of you on a budget, however: the latest version of Photoshop© costs about $800. Adobe did come out with a Photoshop program geared toward to the more causal shooter – this program is called Photoshop Elements. Some may even remember that this program used to be given away with scanners and digital cameras. You can still find it at Costco or Sam’s Club for about $80, you may even find it online at Amazon for less. Does cheaper mean less effective? The short answer is no. Photoshop Elements has about 80% of the tools and features of its big brother. What it doesn’t have are some of the sub-features that the pros use, such as special color spaces and the ability to work on many images at one time. The good news is that Photoshop Elements does have a number of “Easy Buttons” and ways to automate processes. Plus, many of the major tools, like some of the selection tools and blending features, are also there. If you have the training, you can create professional looking compositions with Photoshop Elements© much in the same way you can with Photoshop. So if you are a landscape photographer who comes back with only twenty or thirty images that just need a little bump in saturation or to get rid of some power lines or a beer can, Elements might be just what you need. Lastly, we have a program that is only a few years old but is still getting a lot of buzz from the photography world. Adobe Lightroom 4 is a program geared more toward the photographer than the graphic artist. Lightroom is more of a “global” editor, meaning while it does have tools that can do some work on an image, most of these tools are for color corrections. It does allow a photographer to work on a number of images at one time, so if they need to be brightened up or color-corrected you can work on one or one hundred images with just a few clicks. Another feature of Lightroom is its presets, which allow you to apply different effects from color to black/white conversion. All of these corrections are done in a non-destruction manner so that you can always go back to the original image. This is because Lightroom is based on the RAW processing program in Photoshop. However you are not limited to just RAW images – Lightroom can work on jpegs and tiff files as well. Another nice touch is that if you want to do more local work on an image you can export to Photoshop or Photoshop Elements. With the latest version of Lightroom 4 there was even a price drop: Lightroom 4 came in at about $150, which was about $50 less than Lightroom 3.